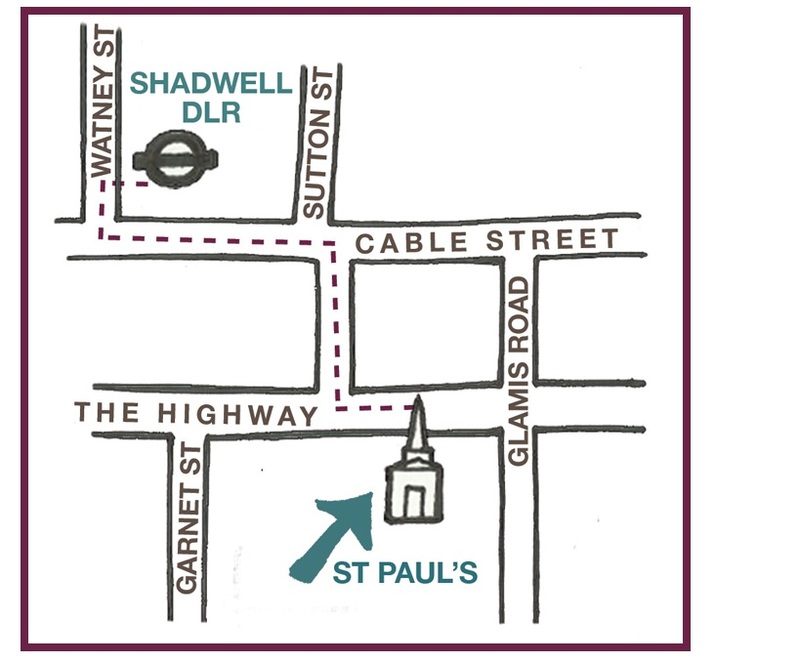 Sing Tower Hamlets takes place at St Paul’s Shadwell (302 The Highway, London, E1W 3DH). It’s a 5 minute walk from Shadwell DLR/Overground, and several buses come pretty close too! WALKING DIRECTIONS FROM SHADWELL STATION: Coming out of the station turn left onto Cable St, and follow the blue cycle path along for a few minutes until you get to Blue Gate Fields primary school. Then turn right onto King David Lane and follow it down to The Highway, a main road. If you look left here, you will see the church on the opposite side of the road (look out for the spire!). There’s a zebra crossing just to the right of King David Lane (safety first) – cross over and you’ll be there in just a few more minutes! BUSES: The 100, D3, and the 339 all get you within a few minutes walk of St Paul’s. The 15, 115 and 135 get pretty close too. For all these bus routes, click here and enter the church post code (E1W 3DH). 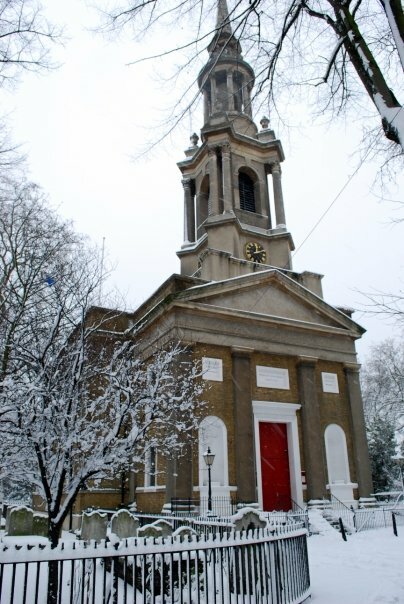 DRIVING: Parking at the church itself is limited; you may be able to find a parking space in the surrounding roads (e.g., Glamis Road) but check the Tower Hamlets website for restrictions. And just so you know what you’re looking for, here’s a picture I took in the snow in 2009. Head for those red doors and you’ll find us! If all else fails and you get lost, give us a call on 07739 324777!